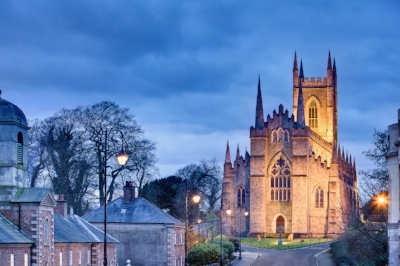 Stay in the medieval town of Downpatrick in Ireland's oldest surviving coaching inn and get free admission to the Saint Patrick Centre and Saint Patrick's Grave. It was here Patrick founded the first church in Ireland in 432 - which you can still visit - and died on the 17th of March. Explore the only exhibition in the world about Saint Patrick, the Medieval Cathedral and High Cross Museum for free. To book, phone Denvir's on 028 4461 2012 or e-mail info@denvirs.com and quote "Saint Patrick offer” to gain your free admission to the Saint Patricks Centre.